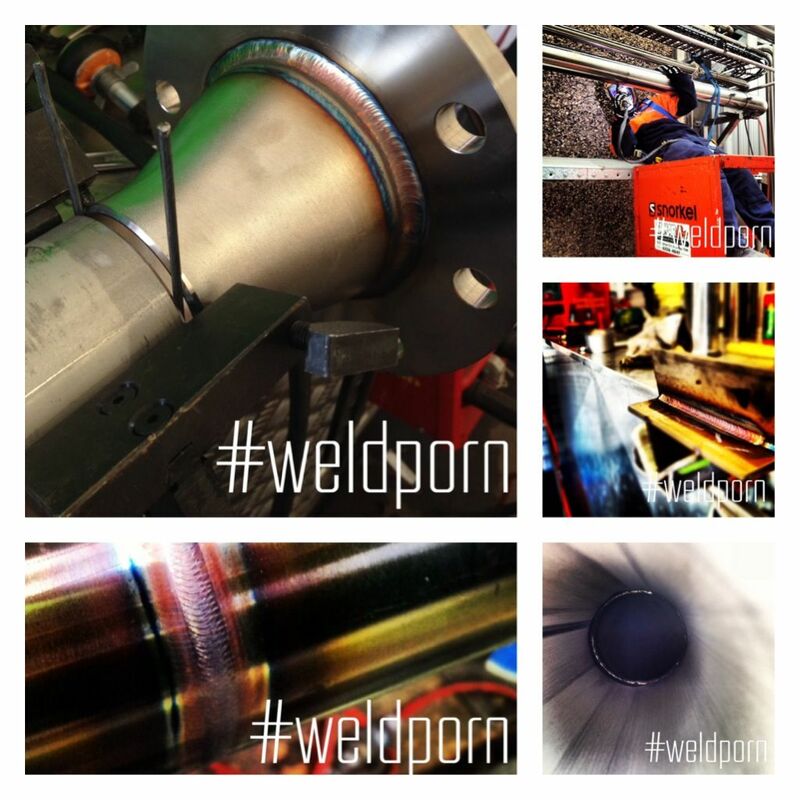 Y ou may have heard of an Australian who goes by the handle @weldporn on Instagram and Facebook. 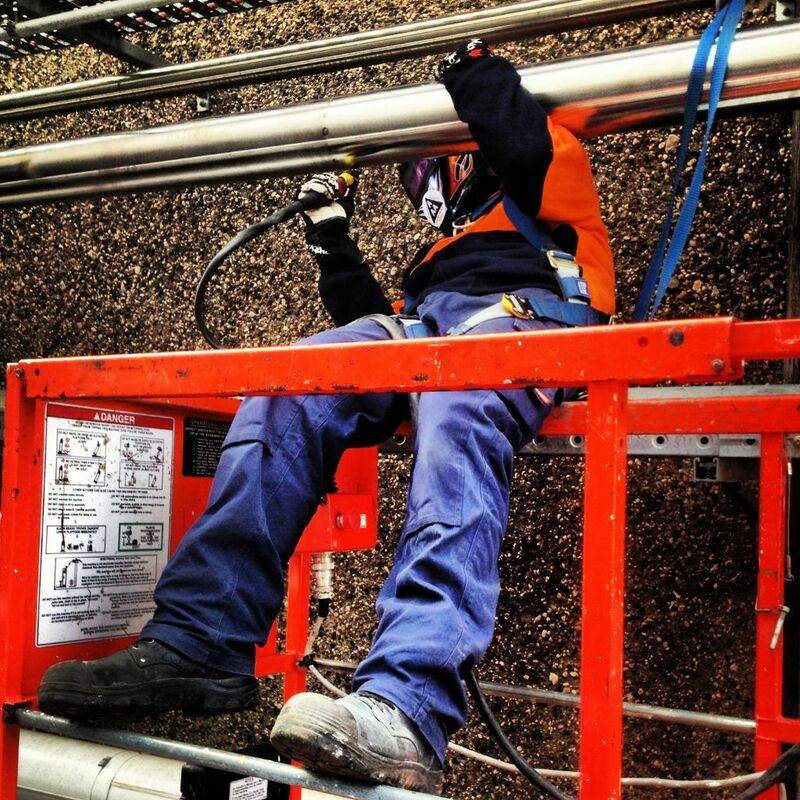 Reaching nearly 40,000 people, his feed has united welders from all over the world. What started as “a bit of fun” for @weldporn creator Marcus Baucza, has become the site for wild welds as well as awesome apparel. And what we like about his presence in the social media world is that Marcus is all about celebrating welding. He can thank his mom for his thriving career in welding. While in high school, Marcus was “heading down the road of wanting to be a surfie bum and she basically said get a job or piss off out of the house”. What is the welding industry like in Australia? It’s probably not as good as it was a few years back but it’s still going pretty strong. The mining/gas industry is where the big bucks are but if your got your head screwed on right you go off and be a contractor charge your $85 an hour and make bank. 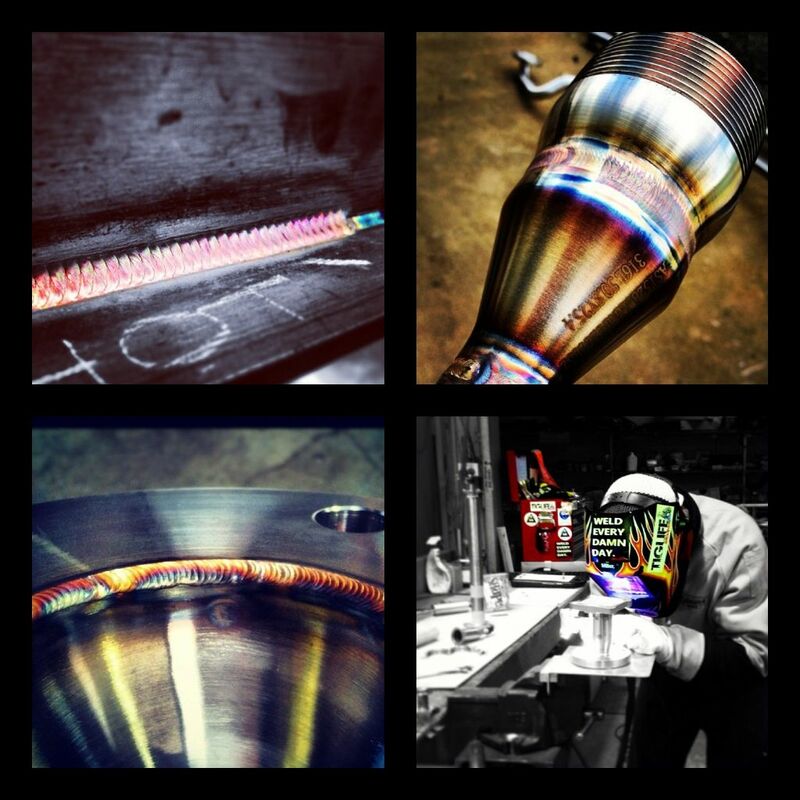 How many welding jobs have you had and which one was/is your favorite? I’ve had a ton of welding jobs! I basically last a few years and either get bored or move on to better pay!! Like the saying goes “YOU WANT LOYALTY BUY A DOG!” A good tradesman is never out of work anyways. My favorite job was on the gold coast when I was living there one time. If you’re not familiar with the gold coast, it’s hot and humid but I managed to score a workshop job as a TIG welder. Basically I worked at a bench with air-conditioning, had a big office chair and got handed a box of surgical stainless bits and pieces and repaired them or fabricated new ones, it was creamy work!!!! I also worked on a project for a pharmaceutical factory where they make morphine and basically cook up heaps of chemicals in reactors. All the waste chemicals got stored in a “tank farm” and I was personally responsible for the fabrication. I welded and installed a nitrogen inertion system that basically acts as a major fire blanket if the tank catches on fire! It was all measured by myself, cut, tacked, welded out all of site and then bolted together on site. What’s your favorite type of welding? This is an easy question. I love GTAW. It’s what I do daily. I’ve had jobs of just GMAW all day and my eyes would be bugging when I got home. I don’t mind MMAW but the industry I work in now basically calls for TIG everything! What’s the hardest part about welding? Consistency and just making sure you’re getting it 110% every damn day! What makes a good welder? That’s a tough one because everyone’s idea is different. For me, I’ll take someone who is a bit slower of a welder, who’s neater and someone who gets it right the first time over someone who rushes, is inconsistent with their weld pool and makes stuff like 3 times and leave cut marks with the grinder because they’re stressing. What welders/fabricators do you admire? There are heaps; my brain melts with the amount of talent on IG! I thrive on neatness and fine tuning my welding. I can pretty much TIG in my sleep but I just pretend to weld like I’m in a competition or something like that. You know what welders are like, “my welds are better than yours. My shoes are bigger than yours” and you know what they say about big shoes. What were you intentions/aspirations for creating weldporn? I mean before Instagram I only knew what I learned from other tradesmen. And when I saw someone “walk the dog” or cup as the Americans call it I was like “DAMN that’s sick! !” That was 4 or 5 years ago now. In Australia, we stack our weaves tight and in the states, it’s coarse. What I’m getting at is I’ve never seen the coarse weave until I created the page so I learned something new and I hope others do as well. Anyways… Like I said, it was a natural progression and having been in the welding trade a long time I got sick of the standard run-of-the mill welding apparel and accessories available!! I mean who wants to weld in a stupid looking apron or wear gloves that feel like you’ve got them dipped in concrete let alone look plain and boring? Not me. Did you expect it to become as big as it has? No. not at all! I mean, I started it as a bit of fun and even though its grown big quick I’m still having fun. I love motivating people and getting them pumped to go out there and blaze it up!! It’s a good feeling and as long as I’m getting that feeling I’m not stopping! I want to keep welding and designing new apparel and safety gear because I can! I’m not some university graduate or business man sitting on a desk designing the next glove or hood to come out with ZERO field experience. I am a WELDER/FABRICATOR with 20 years experience and I know what works and what doesn’t. I test them and want to supply REAL welding apparel and accessories for REAL welders. Where do you see @weldporn in 10 years? I see @weldporn still around. It’s going to be here forever because it’s a part of welding history I guess. I hope it continues to inspire and motivate people who have been in the trade for 3 months or 30 years! For me personally, I would love to see myself living in the states for a year with my family and running @weldporn from there. I want it on the shelves of select stores so people can get the apparel instantly or at least distributed from the states lowering freight costs and times. Currently we are looking at getting all apparel MADE IN THE U.S and look forward to it happening. Where do you see the welding industry in 10 years? Unfortunately probably more automated. We have 3 orbital welders at my work to help speed things up but honestly, I can’t see that affecting too many welding applications as they are only good for a few processes and are very expensive to set up. But welding has been around for a long time so I only see the technology getting better and more mobile as machines get smaller. The good thing is that in 10 years, most welders will be using @weldporn welding apparel and accessories. What advice would you give someone looking to get into welding? Well if it’s a career you’re after, do a pre-employment course and show prospective employers your keen to work in the industry. Get them certifications; it’s what gets you the big coin. If it’s a hobby, just weld. It doesn’t matter what it’s on, just put in the time and try to surround yourself by experienced welders as they will teach you good habits. Don’t be scared to weld hot!!! Don’t weld cold and lay crap on metal. And another tip… be good to your mother. We’d like to thank Marcus for taking the time out of his busy schedule to interview with us. He is an amazing welder as well as all around awesome guy. We wish him the best of luck with @weldporn and hope to see it on shelves across the world!! Keep Blazing!!! We’ve been featuring some amazing women welders over on our CarmenElectrode.com site, and we’ll be regularly featuring fabricators here as well. If you know a fabricator we should know about, someone who should be featured here, (including YOU) let us know! And if you need some good TIG / GTAW welding gear, including Weldcraft, CK Worldwide, and all kinds of accessories you didn’t know you needed– be sure to shop our online store, Arc-Zone.com. i have been welding for 27 yrs. been around a lot of good welders in my time. seen a few people that stand out. u r one of the top 5. awesome my friend. may the lord shine on u for many years to come. live well.